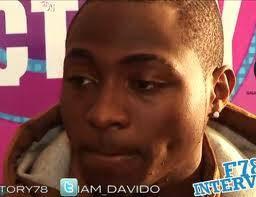 Davido visited factory78tv studios during his short stop in London. Hit sat down with Adesope and Dj Lanre to break down his hit album O.B.O. and talked about the making process of the album. He cleared up internet rumours of signing to db records ( D’banj records ) and how the infamous Dr Sid conversation got leaked on the net. Stay tuned to the entire album review/breakdown on factory78tv and enjoy this short clip.